“I’m Steve. It was a trick, a mind control spell. He would have made me guilty for his murders. Quickly, we can’t let him get away.” The magician produced an amulet on a chain from inside his pocket and put it around his neck. It glowed green, the sign of a time gem. A portal opened and as Steve ran through, flashing lights emerged from Landon’s fingertips which engulfed the older man and two children. The moment the portal closed, they would no longer remember the last ten minutes. Landon dashed after the elemental sorcerer and an instant later, they were gone. And not gone. It was the same house, but Dani was four and he was ten. They were shooting each other with squirt guns. Estaban wasn’t trying to kill him now, he was trying to escape, but something was inhibiting his powers. The same house, the same backyard, but Dani was now nine and two of her friends from school were over making a snowman with her. The same house, the same backyard, but Landon was eight, Dani was three, and Mom was there, which was impossible. The same house and backyard, but Bubbe was cutting back dead flowers in the garden with a five-year-old Dani, and Landon wasn’t there. “You won’t get away, Estaban.” Steve was yelling across the timescape, the space between years and universes, and he was yelling across the different realities. With each footstep, they were in a different day, month, year, and existence. Instead of taking the next step, Estaban whirled completely around and hit Steve in the face with his fist, knocking him backward into Landon. Steve landed on top of Landon as Estaban made a grab for the amulet. The young magician shoved off the weight of his stunned companion and wielded an elemental vortex, pulling his enemy off his feet. Up until that instant, no one in the yard was aware of them, but the spell had broken the time shift and they materialized. Steve managed to come to his senses and clutched the talisman, which again glowed green. Then they were in the air over Dragonworld, and the titanic golden dragon Xendrizdelian was battling the hated Jyrginth Xuddrit, the Shadow Dragon King. Landon suspended the three of them in the air, as the dragons spied them. “Landon, get out of here,” demanded the yellow one. Eldritch emerald flames surrounded the two brothers as they battled, oblivious to the much mightier combat taking place just yards away. There would be no surviving for any of them if it struck. Landon, desperately manipulating what elemental time magic he knew, tapped into the temporal energies of the twins and the three of them vanished. Now they were on a bridge at the edge of a forest, and there were dragons everywhere. A little girl no older than five was talking to a group of sparrows sitting at the trunk of the nearest tree. Not only was the wood crowded with dragons, but with children too, of every age, and from every place in the world, yet humans and dragons cohabited in peace. “You are not my children. What are you doing here?” A great golden dragon, so much like Xen, but a female of his species, was rapidly descending. The shock of such a sight had distracted all three travelers, but Estaban recovered first. Landon heard the gunshot and turned in time to catch the collapsing Steve in his arms. With a laugh, Estaban opened another portal, but this time he had the amulet in his hand, torn off his brother’s chain at the moment the bullet struck Steve in the chest. Landon ducked to the ground with Steve just as the golden dragon launched an enormous stream of flame after Estaban, the white hot plasma entering the time gateway moments before it closed. Steve, lying in Landon’s lap, coughed up streams of red as the pool of blood widened on the front of his tunic. The dragon’s shadow fell over them, and when Landon looked up, he saw an expression of pity on the dragon’s strangely familiar face, though he had never even dreamed of one such as her. The two glowed violet as they, now surrounded by a dozen dragons and a hundred children, vanished. “Landon!” Carmen Ramsey cried out at seeing the pair materialize just seconds after they had disappeared. Landon stood back, helpless, and let Carmen give orders to her medical staff as she tried to save Steve’s life. “The bullets were cursed. Healing spells won’t work without extensive preparation and there’s no time. You’ve got to get it out of him.” As the final few words left his lips, Carmen and the others were hurriedly wheeling Steve out of the room on a gurney. His life was in the hands of mere mortals. Now, there were just a few technicians in the chamber with him, checking on the instruments that held the Master and his minions in suspension. With Steve injured and perhaps dying, it was up to Landon to find Estaban, unless the dragon’s flame reached him and did its work. “Landon.” It was more like a memory than a voice, but he knew it was Xen…Buddy. The people remaining in the room gasped as Landon first glowed purple and then a bright forest green before vanishing on the final quest to save his best friend or die in the trying. After I read Chapter 4 to Landon, he told me I got Steve’s and Estaban’s powers reversed, so I had to pull a switch at the beginning of this chapter. I’m not sure how long my grandson wants me to stretch out the story line, but I’m getting kind of anxious to pull the final rescue of the dragon and to face the powers behind the Master and the Council of Ten. I also want to find a way to incorporate the cane given to him by one of his desceased comrades, Moses Schneider, which was made from the hull of a World War Two German U-boat, the handle constructed from wooden debris made from the same sunken vessel. That’ll have to wait until next time, though. 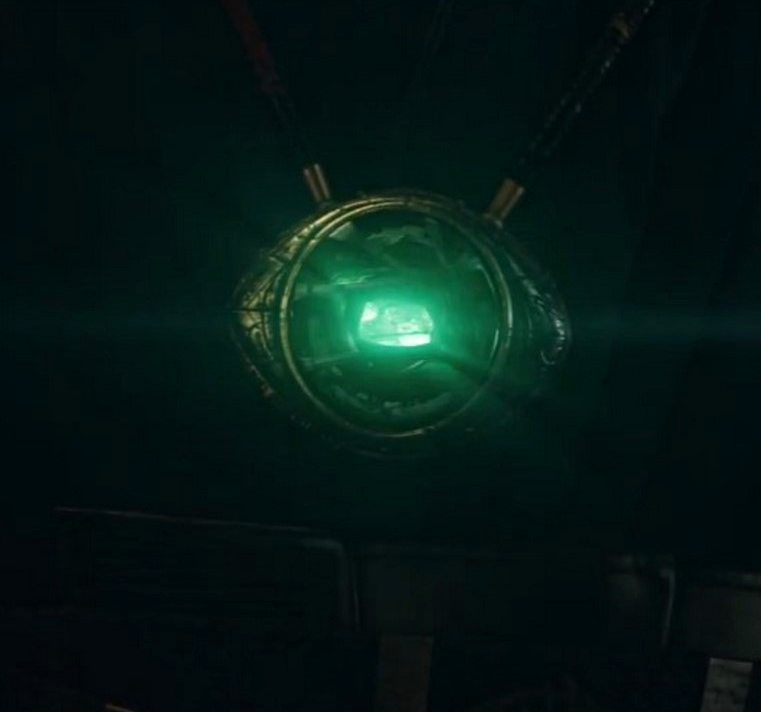 Oh, I watched Avengers: Infinity War for the first time last night, so I had Dr. Strange’s amulet containing the time stone in mind. Writing this is a lot of fun. The next chapter is Captive.